Perfectly tailors to the curves of your spine. We’ll contribute to promoting the health of mankind with superior technology and love. Latest Technology. Ergonomic Design. Outstanding results. Please contact us to make an appointment for a FREE no obligation trial. Alternatively a home trial is a perefct way to evaluate full benefits of our product. Have a question please do not hesitate to browse through our FAQ section. Comprehansive yet neat answers will asist you with any inquiry you might have. We are excited and happy to see you as well as demonstarte a full potential of our wide product range. 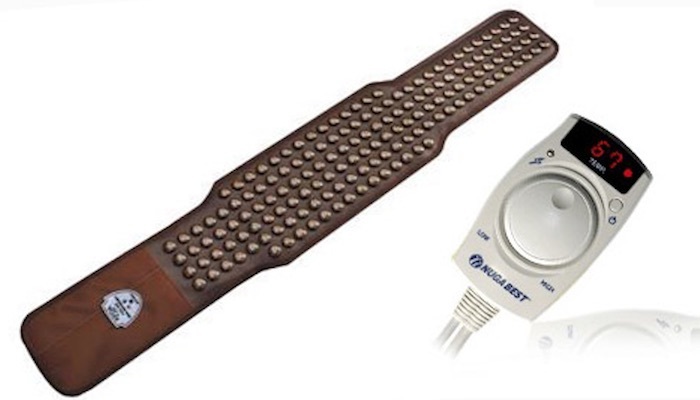 Combines the latest technology with heated tourmanium rollers, magnet insertions and hot rock pad, which provide the therapeutic effects of Shiatsu massage, acupressure with superior far infrared. Improves blood circulation and perfectly removes various types of pain symptoms. NM-2500D is a popular family product that can be used on top of the double size bed or even on the floor for all family members to enjoy the warmth and the health benefits. NM-90 is a Tourmanium Heat Belt, popular product for ladies who suffer cold stomach and also for those with IBS, frequent stomach ache, indigestion and periodic pains. NM-70 with its bio-engineered design made to wrap around the joints, simply removes pain from the knees and the shoulders. Feel the Wonders - use the tourmanium ceramic projector anytime anywhere to massage and heat the massage points along your spine. 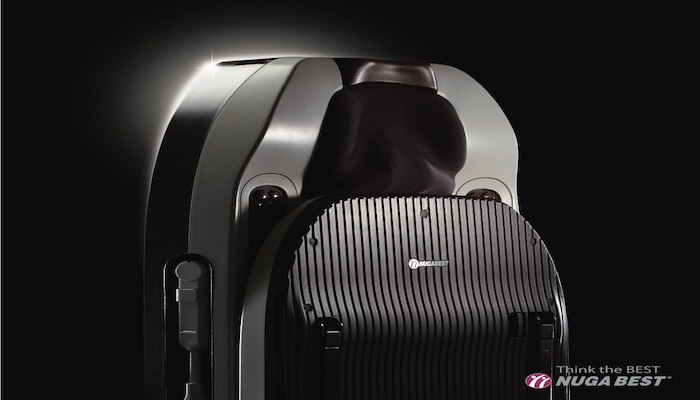 NM-80 is small enough to massage a specific part of your body, such as the abdominal area, chest region or lower back. 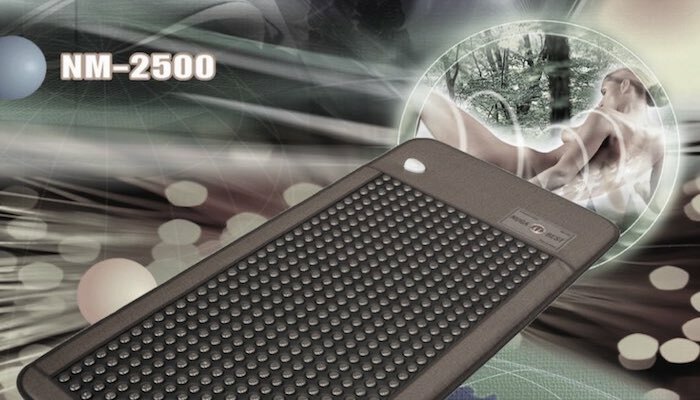 NM-80 is a Small Sized Tourmanium Heat Mat, popular family product. Nuga Best Australia is proud to be an exclusive distributor of South Korean company Nuga Medical Co., Ltd – their healthcare products serve millions of customers around the world with love and care.